The first luxury automobile line to come from Japan was Acura. It is still the first line of cars that people think of today when they think of luxury cars coming from Japan, and many of them can be found here in Fort Wayne. This has lead to our technicians to become well versed in Acura repair and service. We are constantly working to improve our skills so that we are able to meet the demands of the growing number of Acura owners in our city. Acura began with just two models, the Legend and Integra. This initial modest offering has since expanded to include cars such as the ILX, TSX, TL, RLX, TSX sport wagon, RDX and MDX SUV, and the crossover ZDX. The Acura repair team here at Ed's is prepared to service all of these models. 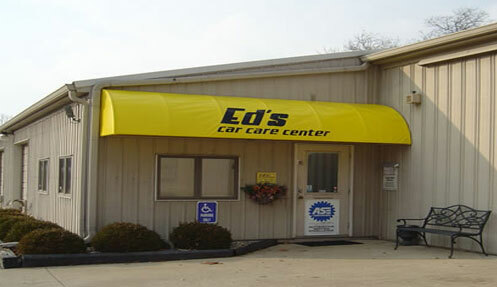 We have been serving Fort Wayne since 1980 and we would be happy to work on your Acura. Our state of the art facility is ready to handle the most basic mechanical issues, and the most complex electrical or programming problems. Your Acura is outfitted with the latest in onboard computers and our computerized diagnostic equipment is ready to help speak to this digital aspect of your Acura. Make sure to give us a call if you have questions or concerns about your Acura. 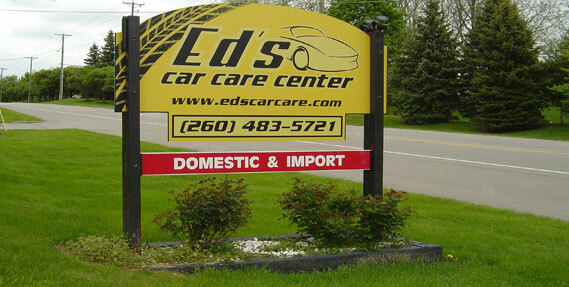 We will gladly provide you with the best service in the area.